We are delighted to present this definitive range of Casio watches to our customers. The classic digital Casio watch is a staple accessory that deserves recognition for its fashionable appeal and high functioning properties, such as an alarm, chronograph, backlight and date features, as well as being water resistant. 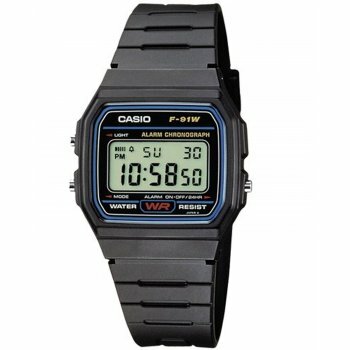 The digital Casio watches with grey LCD dials are ideal for athletic wear and workwear alike. We stock men’s watches and women’s watches from Casio that provide the trademark Casio watch finish with the stainless steel strap and quartz movement. The unisex watches from Casio will appeal to all tastes, whilst there’s plenty of colour choice in all of the watches available in this collection, from black, grey, silver and gold plated. All of our Casio watches come with a 2-year manufacturer guarantee and will arrive in an official Casio watch presentation box, making them the ideal gift for a loved one. At Hillier Jewellers we are official stockists of many luxury watches, and stock an impressive selection of men’s watches and ladies watches from premium brands such as Hugo Boss and Citizen. Invest in a new timepiece today and enjoy free UK delivery on single orders over £60!